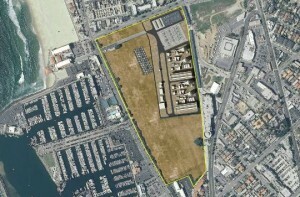 AES’s conceptual plan to downsize its Redondo Beach power plant takes the power plant’s footprint from 52 to 19 acres. 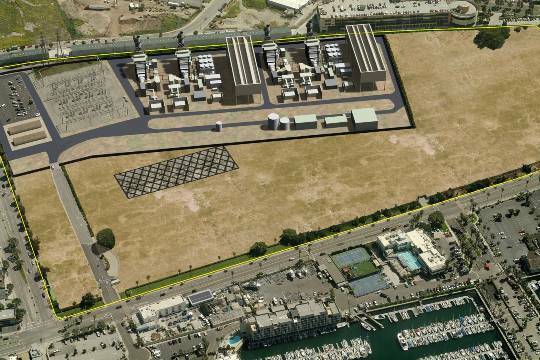 The battle over the future of the AES power plant took a decisive step into the public arena Tuesday night as the company’s future plans for the site were presented to the Redondo Beach City Council. A Redondo Beach citizen watches the proceedings between AES and the City Council. The council chambers were filled to capacity and residents lined out the door to hear a presentation from AES Southland president Eric Pendergraft and the project director Jennifer Didlo. Discussions grew heated after 24 citizens stood up to voice their opinions, none of them for rebuilding. Pendergraft told the council that a decision has not yet been made to rebuild, but that if new plant is indeed built, the facility would be drastically smaller. He estimated a new plant would cost $650 million to build and take up only 19 acres of the 53 acres taken up by the current plant, leaving open space for whatever the community and the company deemed appropriate. At any rate, Pendergraft said, the existing plant would come down. A rendering of the possible new footprint of the AES power plant. Most residents who spoke were vehemently against any kind of new plant. “Whether it’s smaller or not, it’s still putting lipstick on a pig,” said resident Chris Elson. AES Aerial photograph by Peter Bernstien in Aug. 2007. A citizen’s movement, led by Councilman Bill Brand and Building a Better Redondo president Jim Light, has emerged that seeks the removal the power plant from the Redondo waterfront by rezoning the area to no longer allow power generation. Residents have conducted rallies alongPacific Coast Highwayseeking support to tear down the plant. They argue is that the plant is no longer needed in the California power grid and threatens public health due to its pollution and proximity to so many residents. 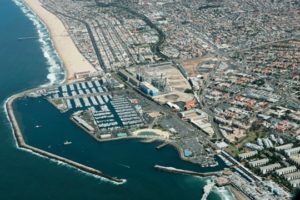 AES filed a plan with the State Water Control Resources Board in April tentatively signaling its intentions to rebuild itsRedondo Beachplant. A state law passed last year requires power plants to almost entirely phase out the use of ocean water for cooling purposes by 2022. AES, which currently uses ocean water, filed an “implementation plan” to modernize its plant. Construction of a new plant would begin in 2015 and be completed by 2025. Final approval of any such plan would occur in 2013. 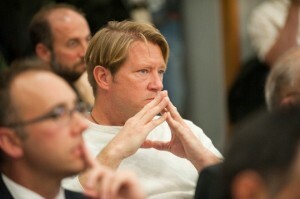 Pendergraft said that the corporation has made no final plans. He acknowledged that studies indicated its power production may not be needed, citing estimates that the westernLos Angelesbasin in 2015 will need only 5,998 megawatts while the energy resources in place would produce 8,971 megawatts. He stressed, however, that energy needs in 2020 or 2050 – which the plant would be built to serve – are not yet known. The company’s current contract ends in 2018. The city council chambers were overflowing on Tuesday night when AES presented a plan to restructure the AES power plant to the city council. Councilmen asked questions of the AES representatives regarding the legality of the process, their fears of being sued by AES, what potential uses the site could in fact hold for the community and the details of the environmental impacts of a new plant. 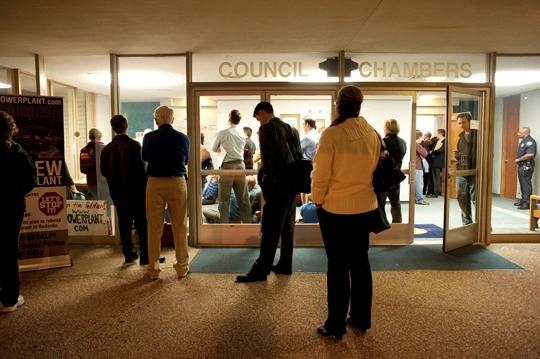 Citizens were unable to fit into the council chambers so many sat in entryway and watched the meeting from the television. As the AES representatives spoke, citizens sitting in the audience shouted out questions. “What about the condenser fans?” somebody from the audience asked during a moment of silence. 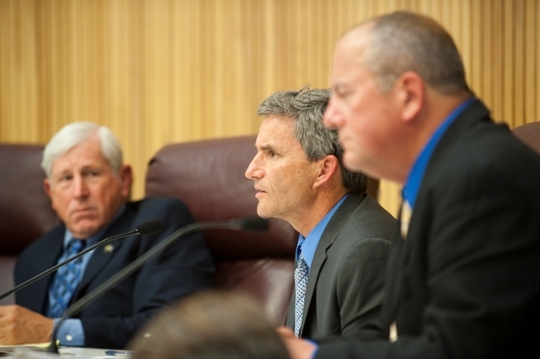 Mayor Mike Gin tried in vain to keep a more positive dialogue going. Throughout the five hour meeting, people stood in the doorway, in the aisles and even sat in the foyer watching the meeting from the television. Audible gasps and faint mumblings could be heard as people spoke. Brand made clear where he stands on the issue. Councilman Bill Brand questions AES Eric Pendegraft on his intentions to vacate the space or build a new plant. 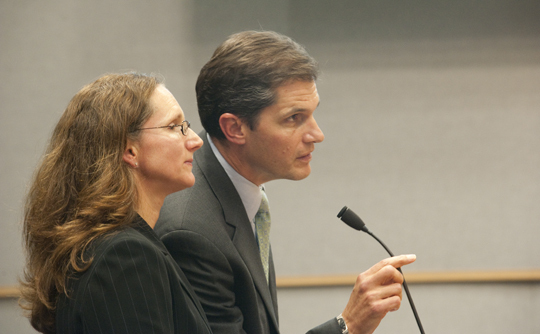 AES Southland President Eric Pendergraft and Jennifer Didlo answer questions from the council.